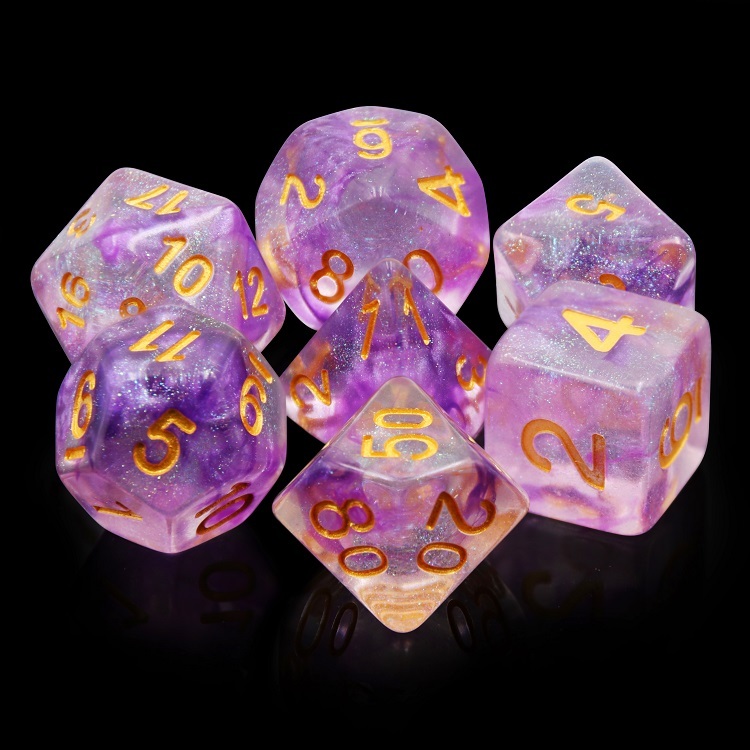 Aurora Dice Set D20 Poly Dice set - PURPLE GEM (CHN) - Ref(auroraCHNPurple) - A set of Aurora gem dice for use with D&D or the d20 open game system. Contains 1xd4, 1xd6, 1xd8, 1xd10, 1xd%, 1xd12, 1xd20. 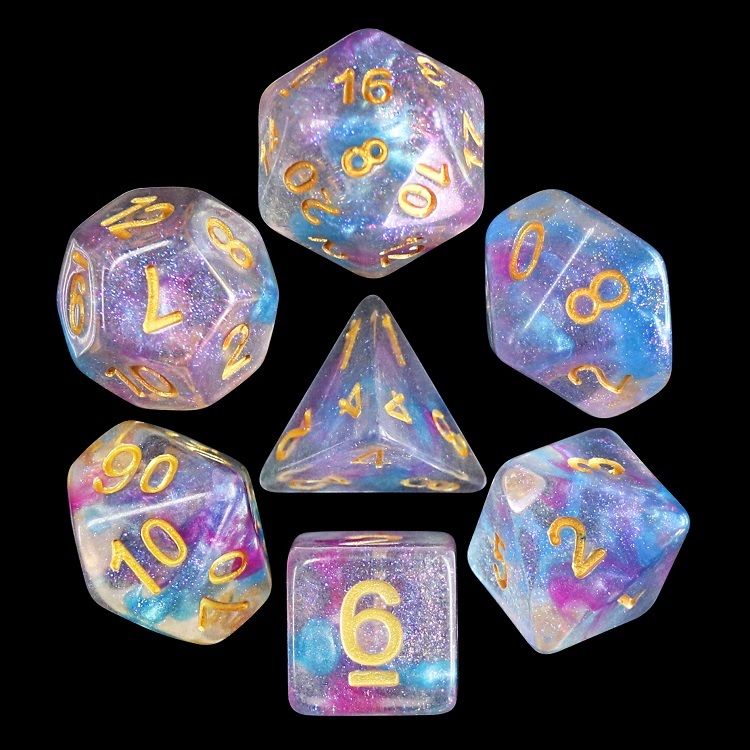 7 dice in total, all the same colour.